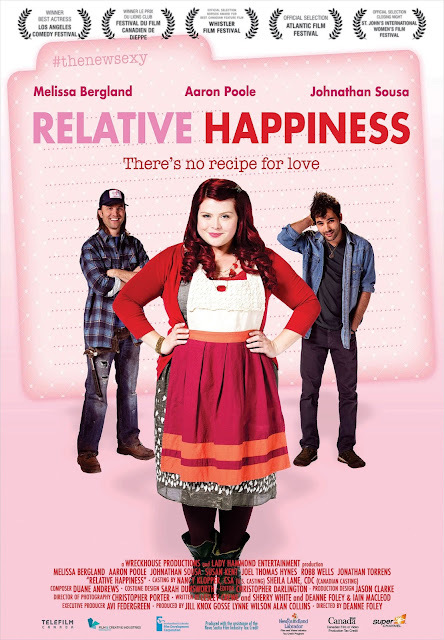 Relative Happiness is produced by Wreckhouse Productions and Lady Hammond Entertainment. It is distributed by Solar Pictures. There's no recipe for love. Welcome once more to Dateline Movies, and boy, there are a lot of movies we don't even know about but contains loads of potential. Thank goodness again for Solar Pictures for allowing us the opportunity to promote Relative Happiness. This film actually won several awards, including Best Picture and Best Actress, so this definitely isn't your standard everyday romantic comedy. Lexie Ivy, played by Bergland (Winner and Losers) owns the Ivy Cottage Bed and Breakfast, and she loves to bake and to eat. Her sister, Gabby, played by Dunsworth (Septic Man), is about to be wed in less than two weeks, and her mother Cynthia, played by Lewis (Republic of Doyle), wants Lexie to find a date before Gabby's wedding. This leads to Lexie facing internal turmoil and a journey in search of a love she most certainly needs. Even if a handyman named Joss, played by Poole (Strange Empire) is probably the only person who might win her heart, Lexie does not feel the same way. However, when the suave Adrian, played by Sousa (Kidnap Capital) drops by for a stay at Ivy's place and seemingly has some affections for her. Has Lexie finally found the love of her life? Well obviously this feels like we have hit one more familiar territory, with the entire premise of "looking for love in all the wrong places" trope, but come on, the trailer at least provided some funny moments sure to keep you entertained. In case you are wondering, Relative Happiness is available in selected cinemas in Metro Manila. And now a little bit of Melissa Bergland from an interview made by The Web Magazine with the star herself. 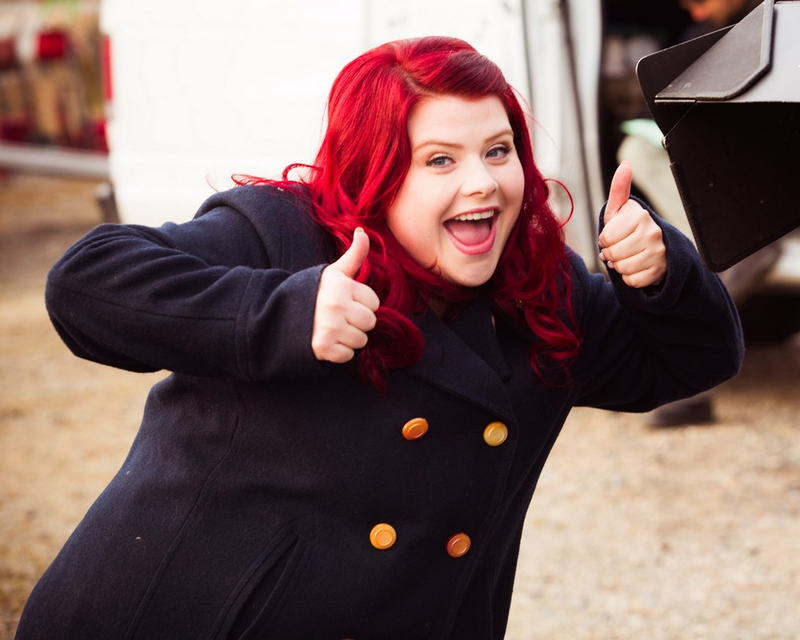 Melissa Bergland was born in Adelaide, Australia. 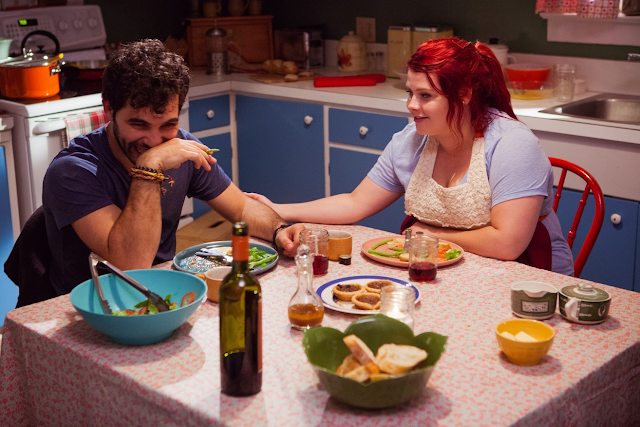 You may have seen this cherry-red hair, cat-eye glass, plus-sized girl from the 2nd Avenue hit television series "Winners and Losers" where she plays the role of Jenny Gross. She does not only acts well but also is keen into music, having such a wonderful mezzo alto voice. She has certainly come a long way since she started thinking of going into films. In 2013, Melissa Bergland has signed a contract with major management film outlet, the LA-based Untitled Entertainment which also manages superstars like Madonna, Jared Leto, Ashton Kutcher, Naomi Watts, Daniel-Day Lewis, Hilary Swank, Penelope Cruz and Simon Baker, among others. And now a major role in a feature film for Melissa Bergland will be released in the Philippines titled RELATIVE HAPPINESS. 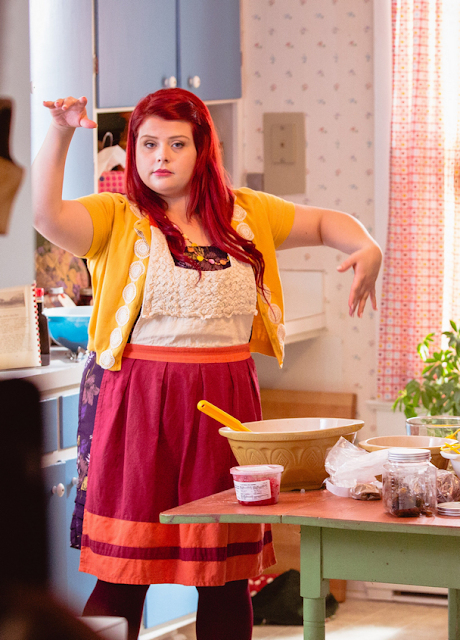 Although she may not have the curves of Scarlett Johansson or the looks of Charlize Theron, Melissa Bergland admits that what makes her lovable and more adorable to people is her character, just like Jenny Gross, funny and weird. 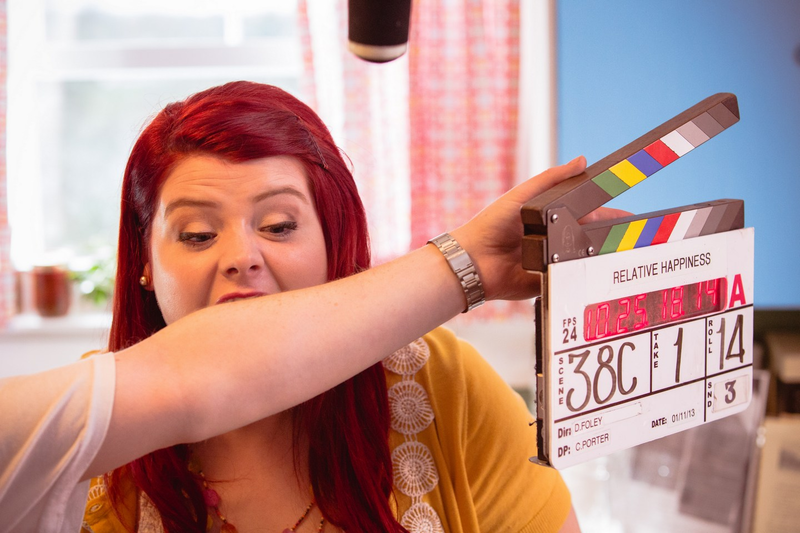 The Hollywood Reporter calls her "the next Rebel Wilson"
When interviewed by popular magazine WHO, Melissa Bergland stresses the fact that although she may be a size-16 actress, she will not give in into Hollywood thin ideals or lose weight. Not just yet. She says that she has a wonderful career right now and she has no intention of changing anything. Being what you are is the best thing. In the film RELATIVE HAPPINESS, Bergland plays the role of 30-year old Lexie Ivy, the proud and happy owner of Ivy’s Bed & Breakfast. She is desperately in need of a date to accompany her to her sister’s wedding day. Then comes Adrian, a handsome and quite charming guest who visits Ivy's Bed and Breakfast and who seems to show an interest in her. Lexie thinks that Adrian is the answer to all her problems, but she misinterprets the situation and is now falling apart again due to the sudden turn of events, believing her romantic dream is forever slipping away. What Lexie really needs to do is open up her heart and eyes and just see that the love she may be looking for, may be just a lot closer than she thought. Catch RELATIVE HAPPINESS in theaters and make your holiday merrier and funnier!